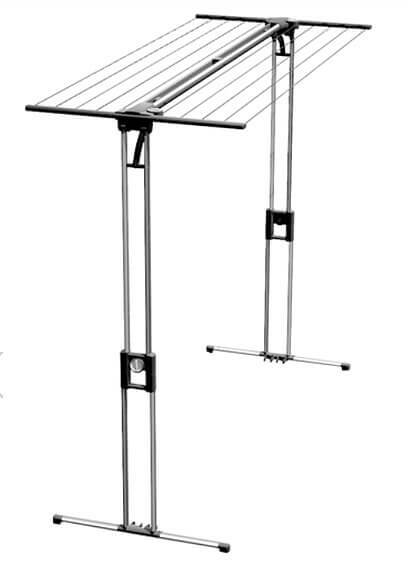 An innovative collapsible design with multiple height adjustment , hidden wheels and variable line tension system, the EcoDry portable clothesline is a perfect combination of form and function.100% designed and made in Australia, the EcoDry portable clothes line is UV and rust resistant. The compact, space-saving design also makes it easier to be tucked away, neatly out of sight — ready for use on your next laundry day.It is also considerably light at just 4.6kg and offers a generous drying space for up to 3 wash loads- courtesy of the 16 drying lines. Eco Dry was developed to provide everyone with a laundry drying solution that is both aesthetically pleasing and highly functional, for both indoor and outdoor drying, all year round. Turning knob line tensioner virtually eliminates ‘line sagging’, which ensures that you’ll get more years out of your drying unit’s usable life since the lines are kept optimally tight. Thanks to the hidden wheels, moving the EcoDry Portable from one place to another is more convenient and choosing your preferred drying area is definitely a lot less daunting. The height can be adjusted from 95cm to 142cm so it is also perfect for small spaces such as condominiums and apartments, even in small balconies. 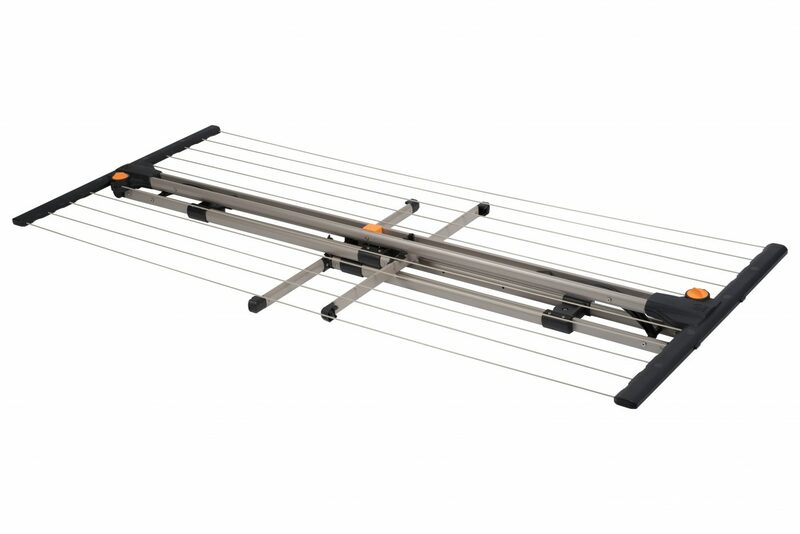 The Ecodry Clothesline has measured up to all our expectations and the claims of versatility, ease of use and mobility. 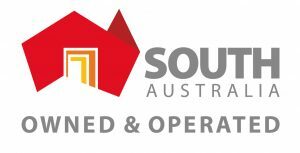 We find that we seldom use our fixed clothesline, as the portable indoor clothesline takes all of our washing Being constructed of non-corrosive materials we are happy to leave on the balcony. I write to let you know how thrilled I am with the Ecodry Clothesline. I have a very small balcony and for 10 years I have had a line draped across the balcony. Now that I have the Ecodry Clothesline I find that I can fit so much more washing on the portable clothes drying rack than I could on the old clothesline and if friends are coming I can so easily move it out of the way and pop it inside. I am absolutely delighted! Many thanks. I have an outside clothesline but find that I use the Ecodry Clothesline all the time.It’s a portable wonder, takes the worry out of where to put the clothes. I find the Ecodry Clothesline holds all my washing including sheets and quilt covers. All you need is to follow a few simple hints about how and where you hang clothes. 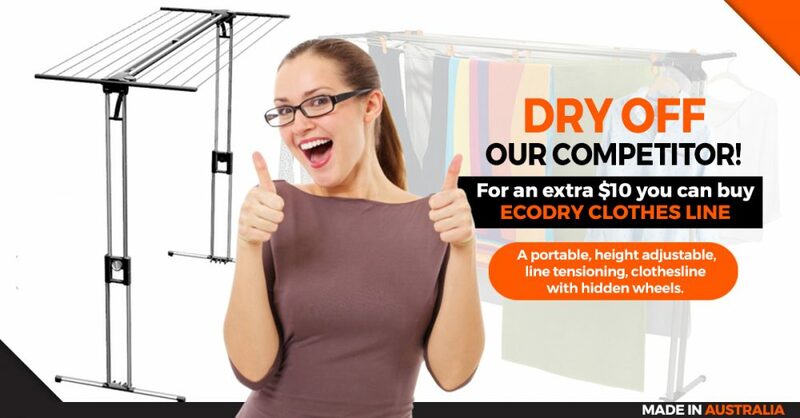 The name Ecodry Clothesline is appropriate because that’s exactly what it is. I use it all the time. I put clothes on it outside and if they aren’t dry by dinner, I bring the portable clothes drying rack into the apartment just before we go to bed and everything is dry by morning. The kids can use it too; it’s not out of their reach. I have currently situated my Ecodry Clothesline on an upstairs apartment balcony, but it is so easily transported elsewhere as it is so light. 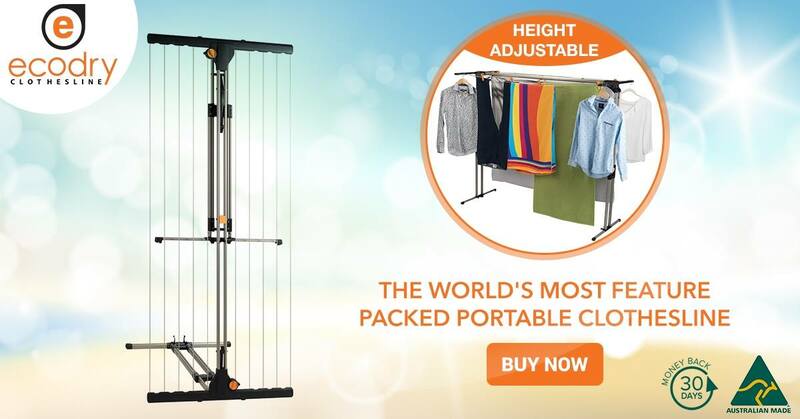 It is the only Portable Indoor clothesline that I could find which has proven very sturdy and holds a substantial load of clothes. 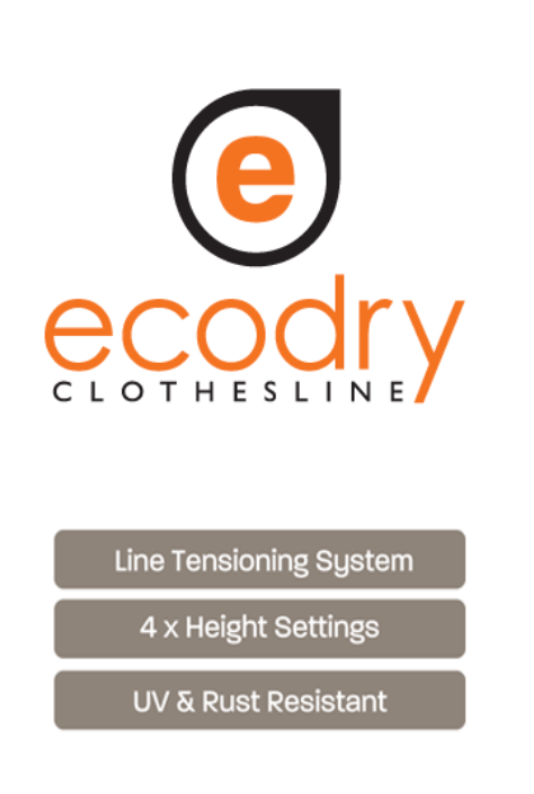 I am thrilled with my Ecodry Clothesline! As a housewife, it is very difficult to manage each and everything that fits into everyone’s requirements. A major concern was of clothes drying as I am staying in the flat and the task creates a huge mess. Then I brought my Ecodry Clothesline and it is so easily transported elsewhere as it is so light in weight. It is also very strong and holds an extensive weight of clothes.